Yoga is a practice of shifting yourself from sympathetic (fight or flight response) to parasympathetic (rest or digest response) mode. Yoga comprises of Asanas, Breathing Exercises and Meditation. Yoga contains physical movements and fast & deep breathing exercises. Often when patients go to doctors for consultation or follow up, they ask if it is safe for them to do yoga or not. Yes, patients can do yoga but they should do it under the guidance of an expert yoga instructor initially. 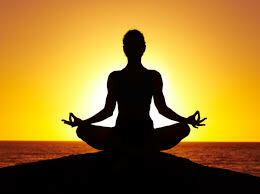 In the hands of an untrained person, yoga may be risky because an untrained person may not know the side effects of certain asanas/Yoga on a patient having a particular physical illness such as osteoarthritis, diabetes, etc.Also, it is important that patients observe specific precautions pertaining to their illness while doing yoga. They should practice yoga slowly and take care to not overdo any asana and avoid some postures that may aggravate their health problems. It is desirable to assess cardiac function before performing deep breathing exercises because Fast breathing exercises stimulate the sympathetic system. Slow breathing stimulates the parasympathetic system. Heart patients are advised to take medical clearance in case of Hath Yoga as it contains exercises in which total body weight is put on head, wrist and shoulder. Patients of osteoarthritis should avoid sitting down for yoga because when you get up from sitting position, nine times weight is put on the knees. Yoga may prevent osteoarthritis, but once developed, Hatha Yoga practices need to be modified. My question is : for kids which aasan is most suitable?